Creating art and confidence. 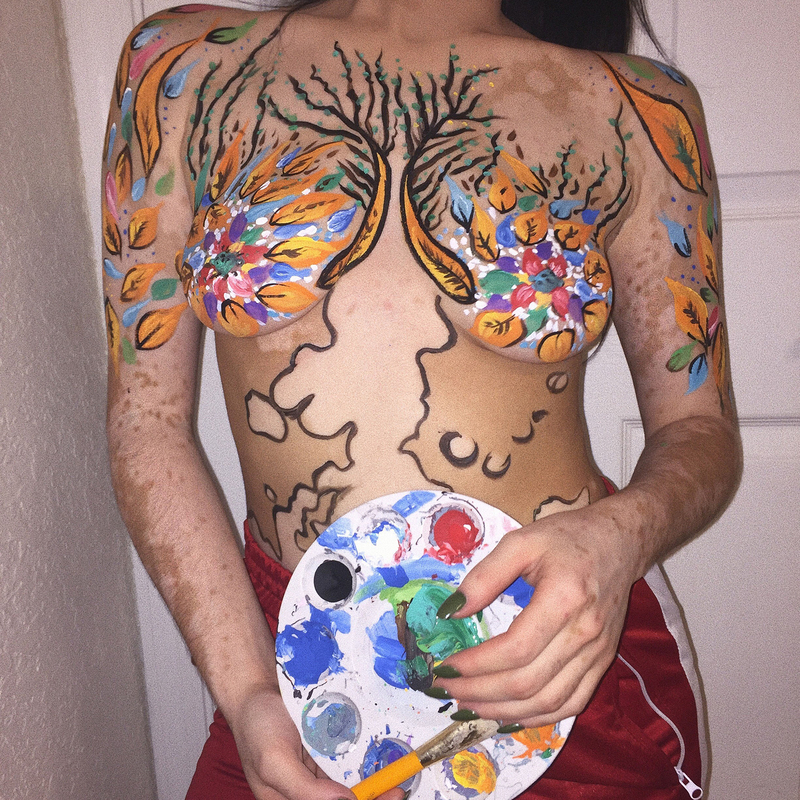 An Orlando, Florida, student started turning her vitiligo patches into artwork after she was bullied for her appearance. Ashley Soto, 21, told DailyMail.com that she was diagnosed with the condition that causes loss of skin color at age 12, and it quickly spread. After a girl at the beach asked her if she had “showered in bleach” when she saw her in a bikini, she began to hide her skin with long-sleeve tops and pants.